The pump shown above is a sanitary lateral design self priming pump, it's suitable for food processing, pharmacy, and the chemical industry. It can be used for wine, oil, syrups, volatile products such as alcohol, acetone and other solvents, or with products at temperatures close to boiling point. It is specially designed for pumping materials containing air or gas, and it can also be used for negative suction with prior priming as well as with filtration equipment. 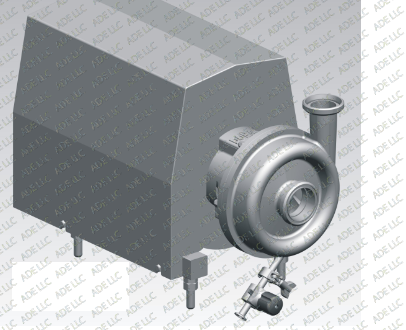 The centrifugal pump, like the one pictured to the left, is manufactured in stainless steel and with a shrouded motor. Sanitary and cost-efficient design makes it perfect for the dairies, beverages, food-processing, pharmaceutical and fine chemicals industries. Casing manufactured with cold-formed plate. Open impeller and close impeller manufactured with stainless steel investment casting; Adjustable stainless steel legs, Pump designed according to 3A Sanitary standards. 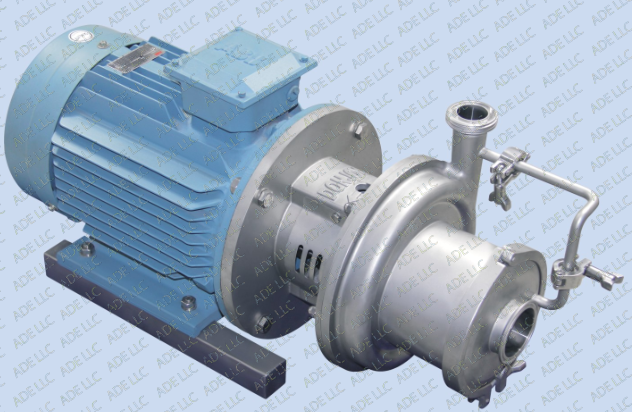 Mechanical variable lobe pump, like the one pictured left, is the most common configuration till now, it is with mechanical variable steeples adjustor. It will steeples adjust flow by manually adjusting. Motor Power: from 0.75kw to 7.5kw. 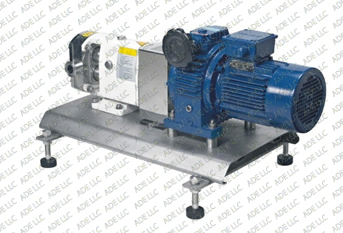 The pump is a positive displacement lobe rotor pump designed according to USA 3A standard. The equipment is processed with USA 3A and very strict hygienic. The pump is ideal for the transfer of viscous as well as low-viscous media in the food-processing, Cosmetics and pharmaceutical industries.